We offer multiple Lawn Care Services in Livonia and Redford Michigan as part of our Member Exclusive program. Another winter season is fast approaching, let us take out the worries. 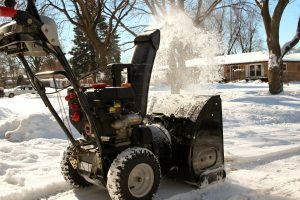 Our snow removal services in Livonia Mi can be customized to fit your level of need. We have the equipment to accommodate any residential client, while providing the best possible solution in the area. Since we only do residential properties in the winter, we are able to get to your home quickly after a storm. And as an added benefit we use rubber based snow blowers to protect your property. We can provide the equipment and skilled teams to handle the challenges of winter weather. We understand that your property is a big investment and we want our customers to know that we are there for them to help them accomplish the dreams that they may have for there property. From new construction landscaping to existing landscapes that need a face-lift, our professional staff helps. Interested In This Service? Request An Estimate. 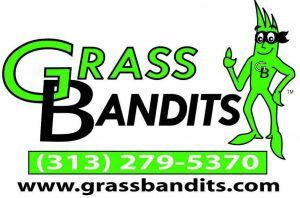 Grass Bandits is a Member Exclusive Michigan Lawn Maintenance and Landscaping company servicing the Livonia, MI and Redford, MI area. Our professional crews are focused on giving people back their lives. Don't have time to cut the grass or make your yard look as nice as you would like it? We do. Why spend endless hours per week maintaining your lawn and property, when we can take care of it for you? "Let Us Rob You of Your Outdoor Hassels" this year! Please note Visitors by appointment only. Thank you.